​Chelsea are already preparing for the day after Eden Hazard's departure from the club, eyeing up a summer move for several possible replacements including Everton's Richarlison and Napoli's Lorenzo Insigne. The Belgian talisman has been toying with a move to La Liga giants Real Madrid since the summer's World Cup, and recent reports claim he has made up his mind and will be pushing to complete the transfer at the end of the season. 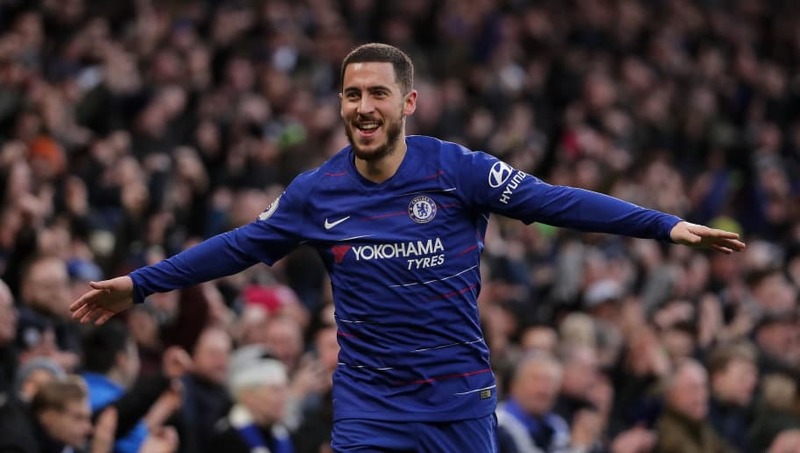 Even though ​Hazard only has a year remaining on his contract with the Blues, Chelsea value a possible deal to be worth an excess of £100m, considering that the 27-year-old is one of the most exciting and influential attackers in the world. Finding a replacement for Hazard is a tall order, but according to the ​Daily Mail, Chelsea have already targeted several possible candidates and have faith that manager Maurizio Sarri can reshape the team successfully. According to the report, Chelsea's dream signature would be ​Napoli front-man Insigne, who plays in a similar position as Hazard and would fit most comfortably within Sarri's current system. However, the Italian forward would not come cheap, with Napoli expected to demand a fee in the range of £140m. Everton's ​Richarlison has been on Chelsea's radar since his days in Brazil, and they have been monitoring his progress closely since he completed his £40m summer transfer from Watford. The 21-year-old would be a more affordable alternative to Hazard, however his inconsistent form could be a deterring factor. Other possible replacements include Sevilla's Pablo Sarabia who was offered to the club by scouts last month, Dortmund starlet Jadon Sancho, and Bayer Leverkusen's Leon Bailey. Chelsea preparing for Eden Hazard's summer departure as they eye up Napoli star Lorenzo Insigne and Everton's Richarlison. Jadon Sancho has also been followed by Chelsea. Despite previous reports claiming that the Blues were ​monitoring Barcelona's Philippe Coutinho, a move for the former Liverpool star appears highly unlikely. Coutinho seems set to keep fighting for his dream of success with La Blaugrana, and his club are reportedly not looking to entertain any offers.